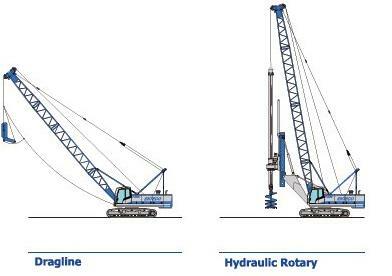 A complete range of Crawler Cranes, comprising 7 basic models from 18 Ton to 200 Ton lifting capacity, with engine power from 85 KW to 750 KW, with free-fall or standard winches from 5 Ton to 50 Ton line pull and with hydraulic systems that can provide the necessary oil flow and pressure to operate impact hammers, vibratory-hammers, casing oscillators, rotary drives and other heavy equipment. 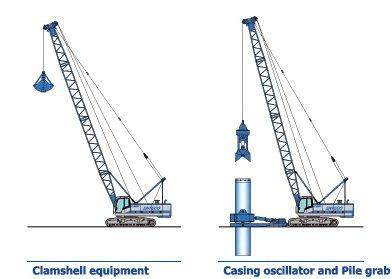 Machines designed for lifting, excavation and for multi-purpose foundation equipment. All the E8000 models have been designed and manufactured according to the principles of high performances, stability, ease of transportation. 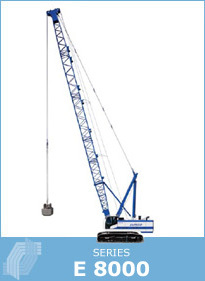 These sturdy, powerful, reliable machines are also easy to operate and simple to work with on site; they ensure constant safety, low maintenance as well as saving in running costs. 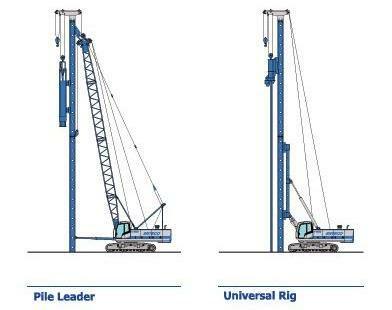 The E8000 models are in compliance with the severe European regulations on safety and with the main international standards. 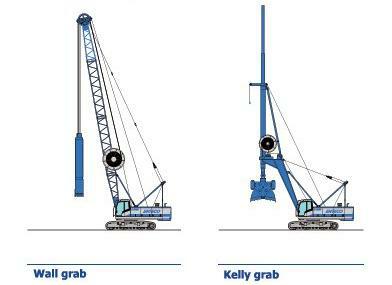 Different equipment (CLAMSHELL, CASING OSCILLATOR AND PILEGRAB, DIAPHRAGM WALL GRAB, KELLY GRAB, PILE LEADER, UNIVERSAL RIG, DRAGLINE AND HYDRAULIC ROTARY) may be mounted on each model of E8000 base machines. The ENTECO technical department is always ready to design equipment to specific customers requirements.